PHOTO BY: CLIFF GRASSMICK. Simon Sparks walks with his daughter, Violet, and their dog, Lucy, at Chautauqua on Friday afternoon. The Boulder City Council is considering new rules for off-leash dogs on open space. Dog owners who want to walk their pets off-leash on Boulder open space are likely to face stricter standards, higher fees and more accountability as the city changes its popular green tag program. Under the program, dogs under the “voice-and-sight control” of their owners are allowed off-leash on certain trails. The dogs are supposed to display green tags that indicate their owners understand the requirements of the program. However, a study of the program found roughly half of dogs did not respond when called by their owners. At a joint study session Tuesday night with the Boulder Open Space and Mountain Parks Board of Trustees, a majority of Boulder City Council members supported proposed changes to the program that would: require dog owners to attend an information session to better understand the rules; institute annual renewals for green tags; link green tags and city dog licenses; and mandate revocation of green tags for dogs that act aggressively or chase wildlife. Several council members criticized the methodology that found such low rates of compliance, but they agreed that many dogs are not under adequate control. “There are a load of people out there who should not have green tags, and we need to figure out how to get those dogs on leashes,” Councilman Ken Wilson said. The city is also considering whether other rule violations, including not picking up dog waste, should result in loss of a green tag after multiple violations. Some council members wanted to separate dog behavior and owner behavior, while others thought linking the two would increase the pressure to follow rules. Fines for not displaying a green tag on an off-leash dog are likely to increase from $50 for a first offense to $100, and then to $200 and $300 for subsequent offenses. City Council members said they want to see a specific plan for how dog owners could have a green tag reinstated. City officials also are considering a tiered system in which county residents and out-of-county residents would pay more for a green tag than city residents do. They haven’t decided exactly how much the new fee should be. Councilwoman Suzy Ageton said human users of the open space system also have impacts on the environment and break rules, but they don’t have to pay additional fees and aren’t targeted for special enforcement. Open Space Board Chairman John Putnam said one goal of the changes is to increase the social pressure among dog owners to conform to rules. Because it was a study session, the council did not take a vote. 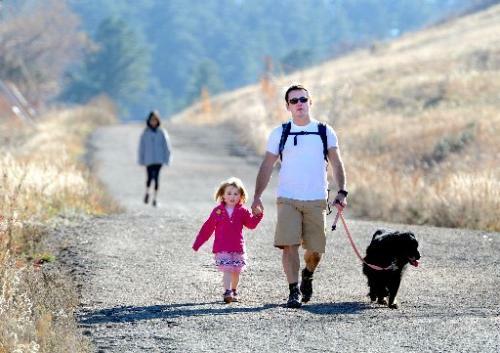 Instead, Boulder Open Space and Mountain Parks staff and board members will do additional study and refine the proposed changes before they come back to the City Council for approval.